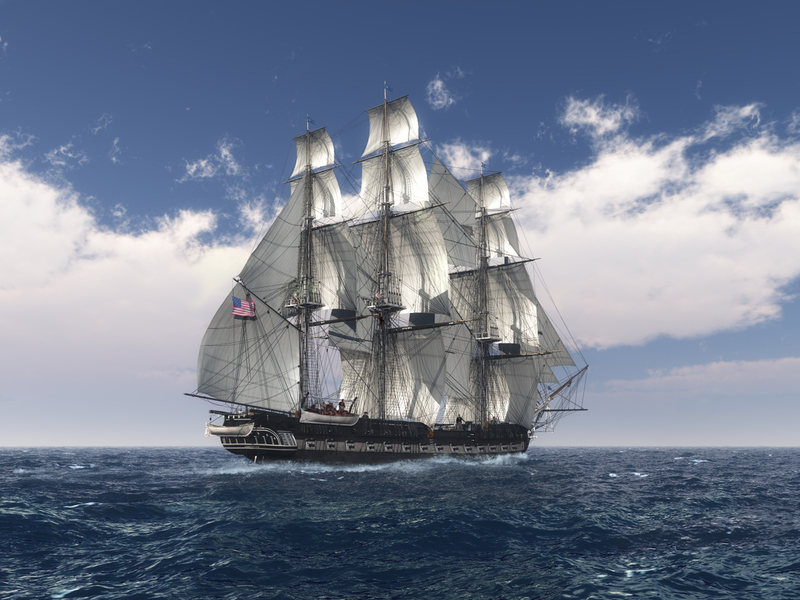 The USS Constitution was instantly recognizable to her friends and foes for she was a new class of frigate. Her mast and yards where enormous. Most ships carried three sails to a mast, and she carried four totaling 43000 square feet of sail. She was the tallest ship of her time and still is the tallest of the remaining tall ships by 11 feet. She was indeed a Super Frigate. This scene depicts some "prepare for action training" of lowering the the boats to be towed behind to protect them from damage during an oncoming action. Zoom view more than justified. A stunning work Kenwas. Old Ironsides in her prime, and still active in service today. � �� �� �� �But only 3 stars? I always love your nautical work. This is probably your best yet, Ken. This is the ship that flew my retirement flag before it was presented to me at my retirement ceremony from the Navy. I like this a lot. Has a lot of meaning for me being from Nova Scotia.